In over a decade of experience, we’ve catered to businesses across a diverse range of domains. 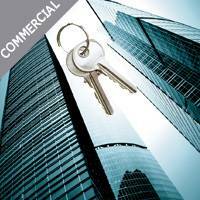 Our expertise has equipped us with the requisite skill sets to tackle modern commercial locksmith concerns. 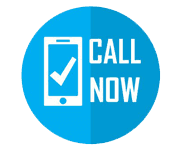 We provide 24/7 emergency locksmith service and support for your business. Be it a hospital, office, hotel, or a restaurant, Lock Locksmith Services is always there to serve you. Instances such as key loss or key damage which necessitates an immediate response can be handled by our 24/7 emergency service so that access is immediately restored with key duplication. We have a long list of happy clients who are loyal to our brand because, over the years, we have made an unbreakable relationship with them through our hard work and dedication. Our well-qualified commercial locksmiths are trained to handle any kind of locksmith and security issue your business might have, and at any kind of facility. This includes, but is certainly not limited to, protecting assets with high-security locks, and installing one-of-a-kind keyway systems which prevent duplication of keys, so that only the proprietor has the option of key duplication. Restricted locks can also be installed, which provide maximum control over entry to the premises since the keys cannot be copied. 24/7 emergency locksmith services can be provided to ensure that access is restored as quickly as possible. No one understands business needs better than us! Certain areas of a business are restricted and only authorized people should have access to them. We comprehend that and offer our clients solutions according to their needs and requirements. We provide you with the flexibility to assign the desired entry level for all your employees. We at Lock Locksmith Services can rekey or replace existing locks or install new advanced locking systems that will make sure that the security of your building is always top-notch. A business cannot compromise on the security of their premises and the important documents and data in the offices. File cabinets and data centers should be properly secured with sturdy file cabinet locks should be installed wherever necessary. Data centers should have restricted keypad locks that can be only opened by people who have access. We specialize in providing these services and our aim is to always make sure that your businesses are secure and running smoothly. Other highly-demanded services at Lock Locksmith Services includes implementation of master key systems, in which company leaders are given the capability to set the access level for all company employees. Even very large facilities like hotels and office buildings can be secured with some of the advanced locking methods recommended by our security experts. 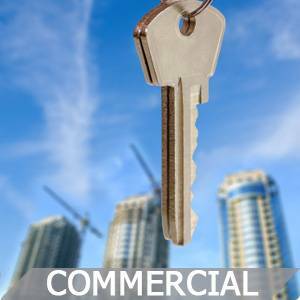 Our commercial locksmith services are second to none and you can get in touch with us at 818-488-2678. Our experts will make your business more secure and you can serve your customers better, knowing that you don’t have to worry about the quality of the locking systems in your property!